Everyone is always looking for the best gifts for dads. I’m here to tell you to stop buying new grill stuff, sports memorabilia, fishing lures, ties, and random tools that don’t go with the set he already has. First off, you want to get Dad something cool. Not what you think is cool, what HE thinks is cool. And let me tell you, I know what’s up. I really put a lot of thought into this and tried to think of things I would really like and appreciate. 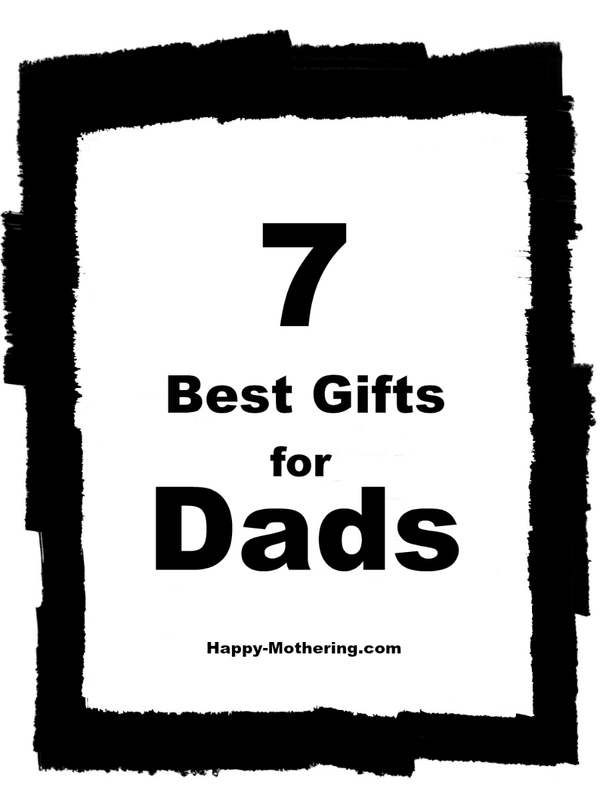 I hope some of these things resonate with you and the Dad you’re trying to buy a gift for. You can never go wrong with a quality leather jacket. If you’re thinking “pleather” you are in the wrong. You may not know what you’re doing is wrong, no worries though, luckily I know what’s up with fashion. What’s more? I like quality and I hate paying a premium for a name. So check this out. Men’s USA has quality products at very reasonable prices. What’s really hot right now are Leather Moto Jackets. Zip-ups with low collars like this Stanton Leather Moto Jacket, looks pretty rad, right? And it’s a fraction of the price of a very similar $2,600 Rick Owens Leather Moto Jacket. Over on Men’s USA there are a ton of other leather moto jackets and some pretty awesome bomber jackets too. Like it or not technology is here and SMART everything is on the way. Do you think the dad you’re getting a gift for would love to control everything in his house via his smartphone? If that answer is a resounding “YES” then you need to check out Smart Homes. They have everything needed to get Dad started on converting the house to a smart home. There’s a huge sale going on right now… You’ll definitely want to get Dad the Insteon Smart Home Starter Kit which includes an Insteon Central Hub, and Remote Light Switch Dimmers. And good additions would be the Nest Thermostat and an Amazon Echo Dot 3rd Generation. Who doesn’t want to hear Dad beatbox? School of Beatbox can make this a reality. Seriously, get your phone out and press record the moment he starts his 1st lesson. And guess what? He will be super stoked and excited to show off his beatboxing skillz (yes, skillz with a “z”). I’m so dead serious… get this for Dad and Junior and Daughter too. How amazingly awesome (as in “awe” inspiring) would it be to see your family sitting around beatboxing together? How amazingly awesome will it be to get that on video and share it on social media? Every Dad out there would love to learn how to make a million different sounds come out of their mouths via beatboxing… School of Beatbox can help every Dad on the planet accomplish that dream. Get it? The School of Beatbox will help Dad live out his dream. Don’t deny him his dream!!! Seriously, School of Beatbox classes are an awesome gift idea for Dad and it would be a rad thing to learn with Junior or Daughter to bond over. If the Dad you’re getting a gift for is a snowboarder, you are all in luck as I can definitely steer you in the right direction. So you know, I really know what I’m talking about when it comes to snowboards. I’m a Certified Snowboard Instructor through AASI and I carry a Level 2 Credential. I’m a Certified Snowboard Coach through USASA carrying a Level 100 Certification. I’m also a former Snowboard Coach on Bear Mountain’s Freestyle Snowboard Team and I’m actively a Coach for both of my girls who are competitive snowboarders. If the Dad you’re getting a gift for is more of an advanced snowboarder, this should be his setup. It’s an all-around great setup for riding all mountains. This is my current dream board, the Signal Wide Wise 157. I’ve been told I have large feet, I wear a size 12.5 Flux GTX Snowboard Boot (most comfortable boot EVER) and I ride Flux Freestyle Bindings (I stopped using all other bindings once I started riding Flux, they’re my favorite). The Signal Wide Wise is everything in a Signal Snowboard that I’ve ever wanted AND my feet will fit it. If I had smaller feet I would get a Signal Disruptor 158. Now if the Dad you’re buying a gift for is more of a casual snowboarder (aka he’s not hitting 30 foot jumps in the park)… the Lib Tech Skate Banana is an excellent choice. It’s a rocker style board and is more of a catch free ride. AND still get the exact same Flux boot and binding setup I mentioned above. I’m a huge believer in giving the gift of a great book. I put so much thought into any book I purchase for someone I thought it might be difficult to pick out a book that I could blanket say “All dads should read this book.” Well, I did. I’m into audiobooks and I’ve listened to this book 4 times in the past 6 months and each time it’s given me multiple epitomes. Get Dad the book Crushing It by Gary Vaynerchuck. It’s seriously life changing and you should also grab yourself a copy of it too. I can’t recommend this book enough. If you’re feeling wild about getting Dad books, pick up The Thank You Economy by Gary Vaynerchuck as well. With these 2 books and the knowledge in them, you can drastically change Dad’s life by giving them this gift. Don’t get dad the gift of plain old white socks. Where’s the fun in that? Dad’s love having fun and love fun stuff. Like these “Don’t worry beer hoppy” socks, or some “Orange Lightning“ socks, or something rad like that!!! Yeah, if you really love the Dad you’re getting a gift for… the Ridge Men’s 3 Zone Heated Hoodie is an absolutely amazing gift for any Dad out there. I look at the heated hoodie as an invention to go down in history alongside penicillin, electricity and sliced bread. A heated hoodie just sounds so awesome to me. It would be a gift I’d truly be stoked on. Getting a good gift for Dad doesn’t have to be something stagnant. Think outside the box or in better words, “think like a dad.” If you don’t think these are some of the best gifts for dads, you’re obviously not a dad. I really hope my ideas got your creative juices flowing and you’re going to get Dad the best gift he’s ever had this year.